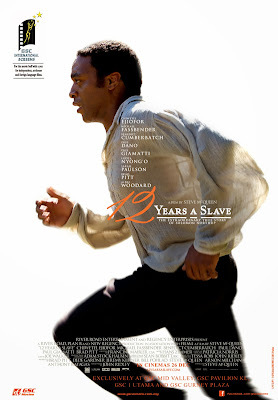 GSC Movies will be releasing the anticipated biography movie “12 Years A Slave” this 26th December 2013 under GSC International Screens. 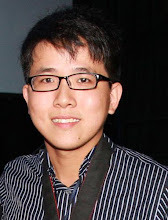 This screening will be limited to 4 locations: GSC Mid Valley, GSC Pavilion KL, GSC 1 Utama and GSC Gurney Plaza Penang. Based on an incredible true story of one man’s fight for survival and freedom, “12 YEARS A SLAVE” is a movie which takes place in the pre-Civil War United States whereby Solomon Northup (Chiwetel Ejiofor), a free black man from upstate New York, is abducted and sold into slavery. Facing cruelty (personified by a malevolent slave owner, portrayed by Michael Fassbender) as well as unexpected kindnesses, Solomon struggles not only to stay alive, but to retain his dignity. In the twelfth year of his unforgettable odyssey, Solomon’s meets a Canadian abolitionist (Brad Pitt) by chance and this has forever changed his life. “12 YEARS A SLAVE” stars Chiwetel Ejiofor (TALK TO ME), Michael Fassbender (SHAME), Benedict Cumberbatch (STAR TREK INTO DARKNESS), Paul Dano (LOOPER), Garret Dillahunt (NO COUNTRY FOR OLD MEN), Paul Giamatti (WIN WIN), Scoot McNairy (ARGO), Lupita Nyong’o, Adepero Oduye (PARIAH), Sarah Paulson (MUD), Brad Pitt (WORLD WAR Z), Michael Kenneth Williams (“Boardwalk Empire”), Alfre Woodard (“Steel Magnolias”), Chris Chalk (“Newsroom”), Taran Killam (THE HEAT), Bill Camp (LINCOLN). TAILS). Producers are Brad Pitt (MONEYBALL), Dede Gardner (EAT, PRAY, LOVE), Jeremy Kleiner (WORLD WAR Z), Bill Pohlad (TREE OF LIFE), Steve McQueen (SHAME), Arnon Milchan (BROKEN CITY) and Anthony Katagas (KILLING THEM SOFTLY); executive producers are Tessa Ross (SLUMDOG MILLIONAIRE) and John Ridley. How will Solomon’s twelve years of journey be like? Let’s check it out in your nearest cinema soon!